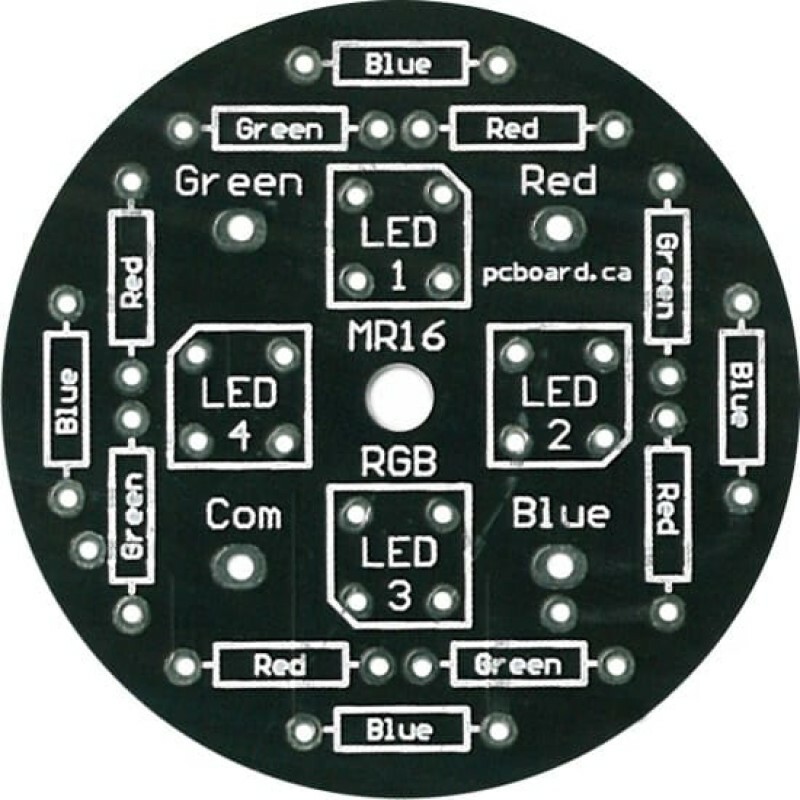 1 7/8” (48mm) diameter board. 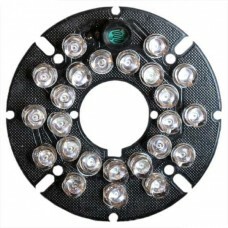 Designed to fit into standard MR16 down light frames (12v 50W halogen frames) and holds four Super Flux / Piranha 4-pin LEDs, an exclusive unique feature of our board. 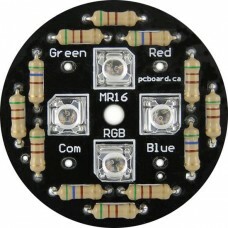 Shown is the LED MR16RGB bare board and also the board loaded with RGB SuperFlux Piranha LEDs. 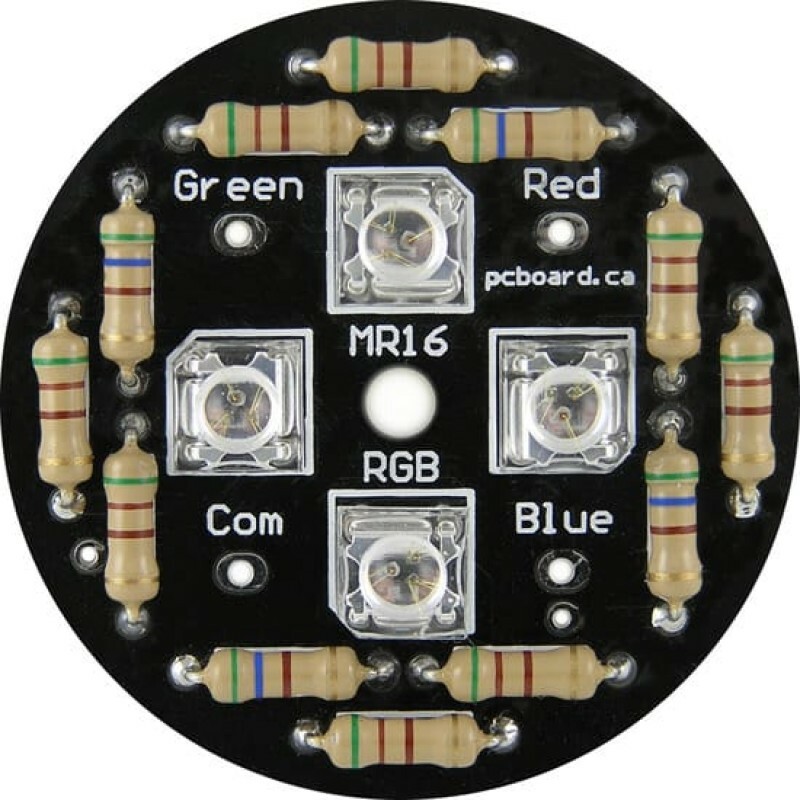 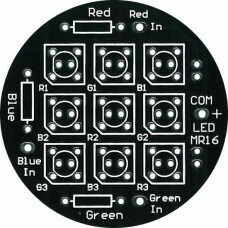 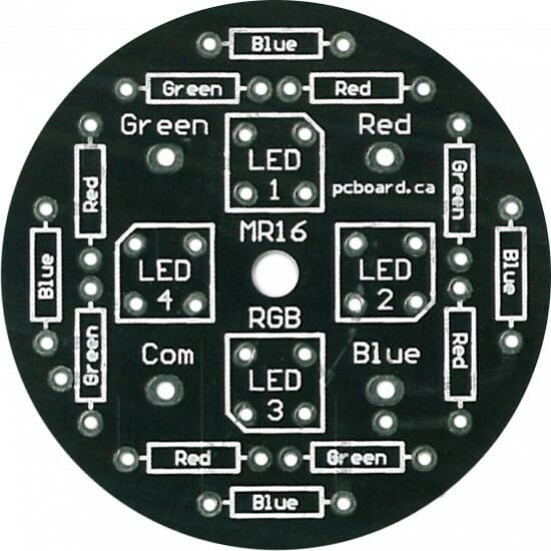 The MR16 RGB board has three separate inputs, with each input controlling a separate color element of the LEDs (there is a Red, Green and Blue input). 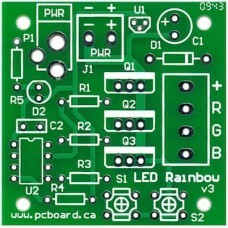 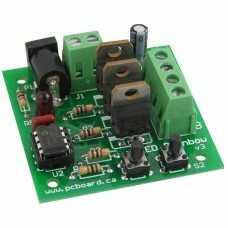 This allows for color mixing functions, such as with the LED Rainbow controller. 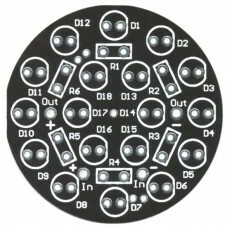 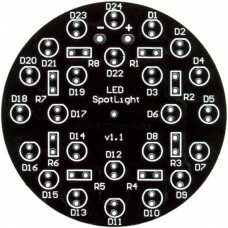 The board is configured to use Common Anode Piranha LEDs, which are available separately, or can be purchased as part of a complete kit of components. 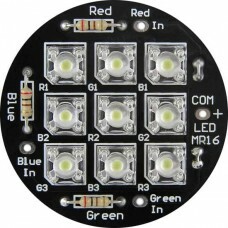 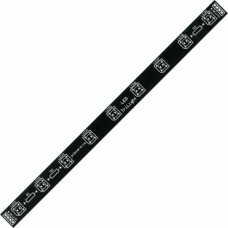 For more information and technical details on the LED MR16 RGB, please visit our Support Site.